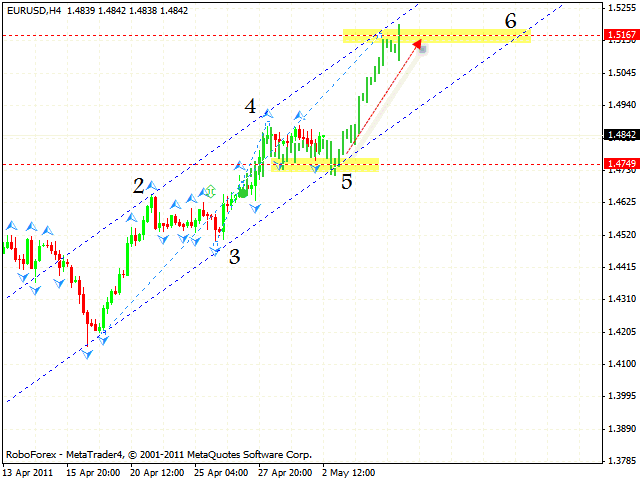 The EUR/USD currency pair keeps moving inside the rising channel. 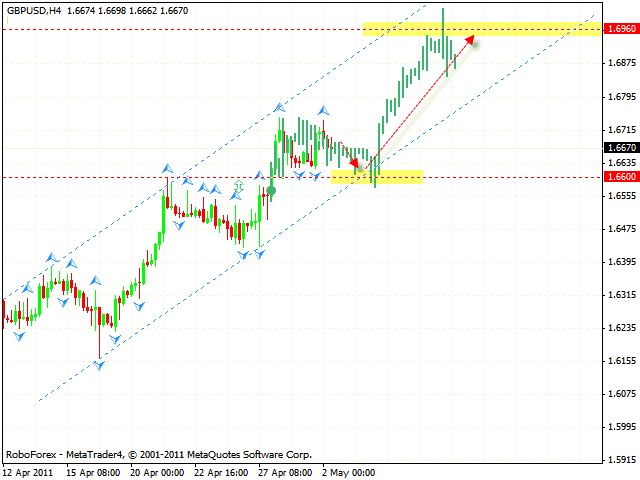 At the moment the price is testing the channel’s lower border, one can try to buy the pair with the tight stop. The target of the growth is the area of 1.5167. If the price breaks the channel’s lower border, this case scenario will be cancelled. 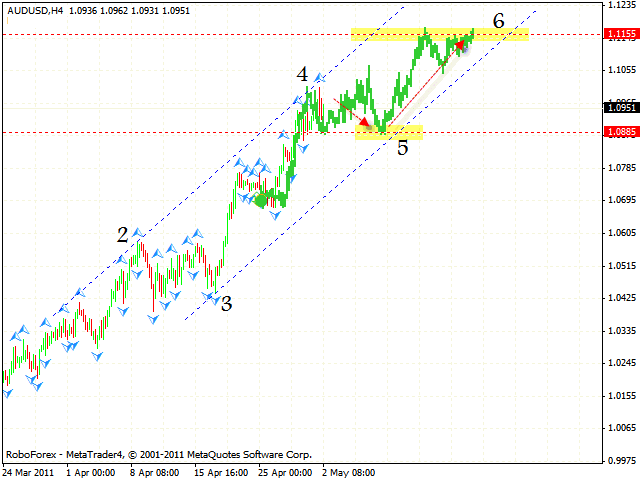 One can consider buying Pound near the channel’s lower border in the area of 1.6600. The target of the growth is the area of 1.6960, which may be a starting point of the correction to the area where the 5th point of reference is formed. If the price breaks the channel and leaves it, this case scenario will be cancelled. In case of Australian Dollar we can see the formation of the symmetrical rising pattern with the target in the area of 1.1155. Currently the price is moving to the area of 1.0885 where the 5ht point of reference is formed. One can consider buying the AUD/USD currency pair with the tight stop near the channel’s lower border. If the price leaves the channel, this case scenario will be cancelled. 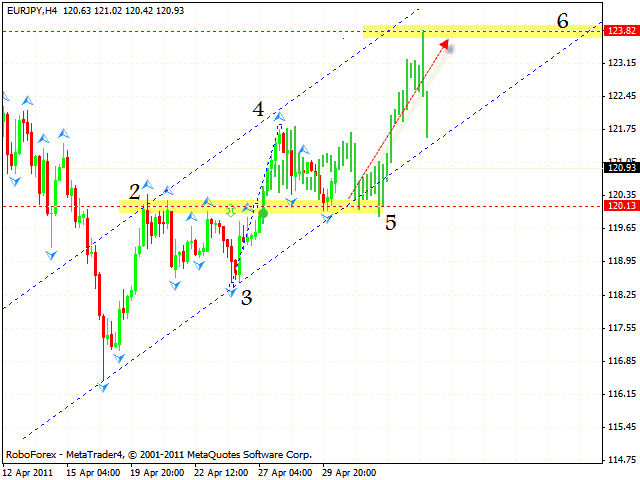 The EUR/JPY currency pair is moving inside the rising channel, the target of the growth is the area of 123.82. At the moment the price is testing the support level, one can try to buy the pair here. If the price breaks the channel’s lower border, this case scenario will be cancelled.